The people we trust to take care of our food allergic children hold a special place in our heart, particularly babysitters. Whether you are hiring a sitter for the first time or it is already part of your regular routine, we all need to thoroughly prepare our sitters. Spokin's checklist and 60 second auto-injector videos make leaving easier – knowing you've covered all the bases. Save this resource in the Spokin app for easy access and sharing. Online babysitting services like Sittercity make it easier to find the perfect child care provider for families with specific food requirements. Sittercity pioneered tech-enabled child care in 2001, and connects millions of families with local babysitters and nannies every year. They're building a platform that radically simplifies the way parents and caregivers connect and manage their trusted relationships, and Sittercity's search functionality allows parents to narrow down potential candidates by their family's specific requirements. See Sittercity featured sitters from around the country who have experience preparing specific meals for families with special needs. We are grateful to Sittercity for the special offer of 50% off a 3-month membership for Spokin app users — redeem your coupon code in the Spokin app! What is your experience with food allergies? Look for: A clear understanding of the severity of food allergies, demonstrating attention to detail and a conscientious attitude. Red flag: Someone who claims that being on a lifestyle diet means they understand food allergies. Or someone who doesn't have any interest in learning about food allergies if they are inexperienced. 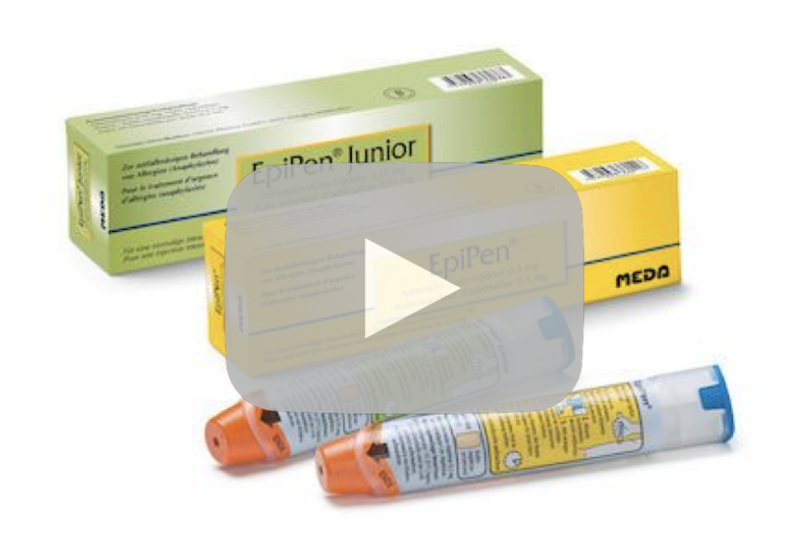 Are you trained or have you ever had to use an auto-injector? Look for: Sharing why they have experience will help give you a better understanding of their familiarity with food allergies. If they have had to use an auto-injector, find out what circumstances led to using one and how they knew to use it. Red flag: They had to use an auto-injector because they mistakenly let a child eat an allergen. If you are not familiar with food allergies, do you feel capable of learning and being ready to administer an auto-injector? Look for: Someone who can give examples of a previous situation in which they were responsible for a high standard of care for an individual. Someone who displays empathy, takes the situation seriously, and feels confident they can take action in an emergency situation. Red flag: If they are not comfortable giving an auto-injector this is their opportunity to let you know. Consider special requests you might want to make. This is a chance to make any special requests that will keep your home safe. For some that list could include asking that he or she doesn't bring any food into the house, having your sitter avoid eating allergens before coming to the house, brushing their teeth before they come over, or washing their hands when they get there. Plan for time to train. Have them arrive early enough to give you plenty of time to go over all the details of care and answer any questions. Share your child's food allergies. List your child's food allergies and explain how severe they are. Discuss what food your child can eat while you're gone. Let the sitter know if your home is free of your child's food allergens and if they can eat anything in the house. If you do have allergens in your home (i.e. families that have kids with different allergies), consider preparing a list of safe and unsafe foods for each child. If needed, share what exposure will cause a reaction (for example: eating, touching, breathing in). Leave contact numbers for both parents as well as the phone number of where you will be. Be sure your sitter has a charged phone if you do not have a landline. Teach your sitter what an allergic reaction looks like. Spokin Tip: Give examples of how your child might communicate an allergic reaction (ex: my mouth feels spicy or my stomach is watery). Provide clear instructions on what to do if your child has an allergic reaction. ✔ Let them know where you keep your auto-injectors or any other medicine or inhalers they might need. ✔ Show them how to use the auto-injector trainer. Have your sitter practice the trainer in front of you to ensure that they know how to use it. Use this easy-to-access chart to share these tips with other moms! Then be sure to leave your sitter with the reaction list, care instructions and auto-injector videos. We love Sittercity for the amazing things they're doing to make finding the right babysitter easier. Sittercity is offering a 50% off a 3 month membership — redeem your coupon code in the Spokin app. Experience: 12 years experience and I am trained on giving insulin, epi-pens, g-tube feeding, and CPR certified. Experience: I am CPR & First Aid certified, have my own vehicle as well as a clean driving record, do not smoke, have experience with Pace Feeding, and know how to use an Epi-pen. Experience: I am CPR/first aid certified and Epi-pen trained. Experience: I'm certified in CPR and EpiPen usage and allergy care emergencies. Experience: I am sensitive to a multitude of dietary restrictions and food allergies and am familiar with an Epi-Pen.